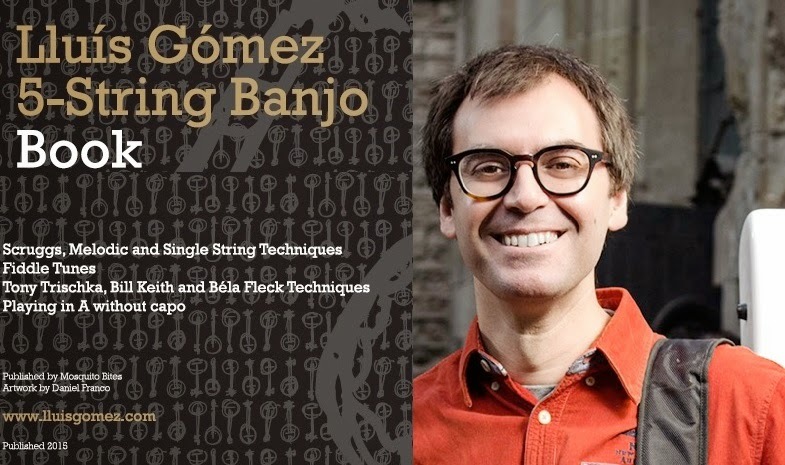 Lluís Gómez is well-known by Bluegrass fans for his playing with the Barcelona Bluegrass Band, Grazztrio and Swing 42 and is also a very popular teacher. We all know that Bluegrass is a universal 'language' and with his new book there is no text, just tablature and transcriptions. The new book will shortly be available via Lluís' website but, in the meantime, Lluís is happy for people to contact him directly via email at this address or via his website. It should be added that the book will cost just €25.